We strive to provide you the most relevant and timely industry news, product videos, tips on sign usage and care, and more. Read more about how the right sign can positively impact your organization! 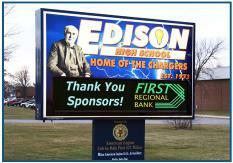 Schools sometimes ask us for pointers on the most effective ways to raise money for their signs. Having been in the business for so long, we're happy to give an inside look at the methods that have yielded the most success for our customers! 1. Our Clanton-based Manufacturing Plant in the News! As part of EBSCO Sign Group (ESG), we are thrilled to share in the excitement at our factory in Clanton, Alabama. Our factory has grown in recent years, and builds more signs than ever before. The article below was from the local paper in the area, The Clanton Advertiser. We have all come to expect that contacting technical support for any reason is going to be a headache, but it doesn't have to be. We have an outstanding group of folks that make up our Technical Support Team. We also stand behind our product and offer the best warranty in the industry. School Fundraising Option: Raise up to $5,000 in minutes! By applying for the Lowe's Toolbox for Education grant, schools can receive up $5,000 for their sign project. Lowe's will donate up to $5 million to public schools and public school parent-teacher groups – at as many as 1,000 different public schools per school year. See if you're elegible for this exciting program! The Great LED Debate: Great Communication or Too Aggressive for Residential Neighborhoods? Since the advent of digital signs, a battle has been waged between the schools and churches that want to use this modern communication tool and the residents that say, ‘Not in my neighborhood.' These residents desire to maintain the traditional ambiance in the areas in which they live. While more urban high-density commercial areas generally allow digital signage with few or no restrictions, most schools and churches are located in residential areas where they are banned or placed under strict zoning restrictions. Small organizations often have small advertising budgets, but that doesn't mean you have to settle. 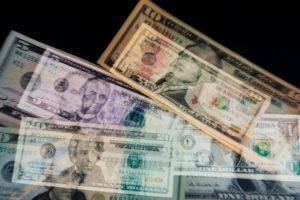 Instead, make the most of it by making smart, cost-effective decisions about how you spend those dollars. Did you know that on-premise signage is the cheapest method of advertising and arguably the most effective? 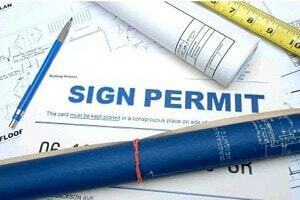 We are aware that the permitting process for sign installation can be intimidating and time consuming. While there is not much we can do to eliminate this hassle, we can provide some education on the process and let you know what to expect. In general, the permitting process for all construction projects is all about public safety. A new sign for your organization can mean a lot of things. Whether you are a school increasing communication, a church gaining new members or a business increasing your sales, your new sign opens a lot of opportunities for you to increase awareness of your organization in your community. Have you ever thought about taking this opportunity one step further?